But does printed piece of information really need to come in TRIFOLD format? No! 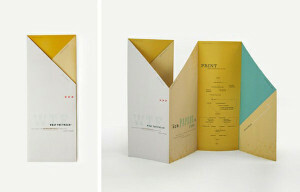 Paper can be printed, cut, folded and bound in endless ways. 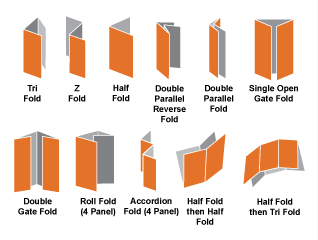 Here are just a few basic folds used in the brochure world. Content: How much content do you have? How much content do you really need? Not a lot? Maybe a nice horizontal half fold, or two-sided rack card would work. Got a lot of content? Maybe you need a double gate fold (see above – bottom row, first one). How will this be delivered to your audience? 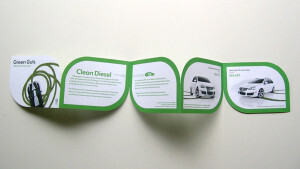 If it will be delivered to the masses or has to fit in the ‘standard’ brochure holder – a well laid out trifold brochure may be the most effective way to go. If it will simply be used to email or placed online – does it even need to be a brochure at all? Or should it even have folds, since it will be viewed as a flat document and with ‘folds’ the flow of information could be a little confusing. Who is your audience? Are they doctors or CEOs? 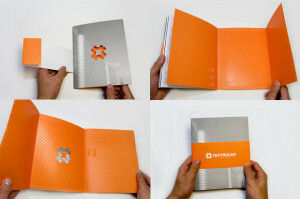 If so, you should have a piece that provides more of a high quality look and feel than your average trifold. 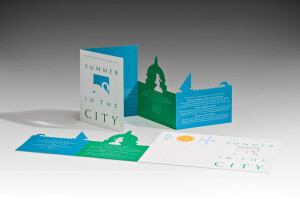 Perhaps the best solutions would be a special die-cut or embossed booklet, or presentation folder with inserts rather than a brochure at all. Or are they college students who may use your brochure as more of a reminder to look into your business or schedule an appointment, and then it will be tossed? If so, maybe a ‘rack card’ or two sided panel is all you need. Client acquisition costs: How much money will this brochure bring in? Or how much money does a potential customer view your service or products worth? If you are wanting to sell thousands of dollars worth of flooring or a new sports car – it may be worth spending a little more on your brochure. How you want to be perceived? 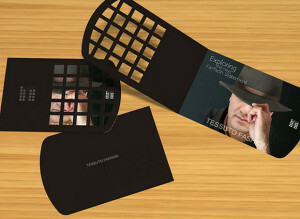 Do you want potential clients to know or think that you are high-end, a large corporation, or cutting edge? Creating that first impression from a ‘fancy’ brochure can sometimes say more than what the actual content says. You can usually tell if the business tried to create and print the brochure themselves, or if they had it professionally design and printed… right? Right? And just ask yourself – which are you attracted to or do you view as a more viable company? 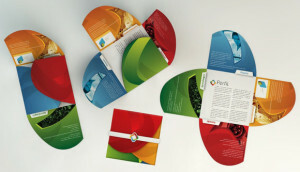 Here’s just a few examples of unique brochure designs to get your wheels turning.